Several years ago, my husband’s baking-gifted cousin, Kristen, came for a visit and elevated our brunch game by teaching me to make her ginger and chocolate scones (lightened-up version here). It turns out that my family goes crazy for homemade scones and I was excited that they could be stored in the freezer and popped into the oven at a moment’s notice. One of Kristen’s tricks for amping up the fiber and protein content (and producing the perfect crumb!) was making homemade oat flour and substituting it for part of the regular flour. 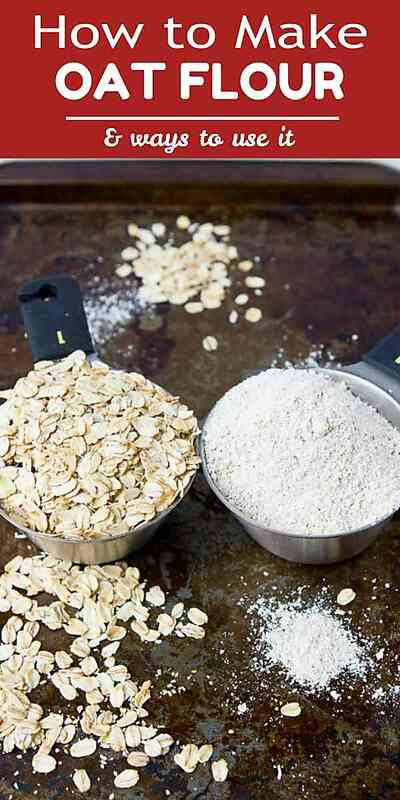 How long does it take to make your own oat flour? Oh, about 4 minutes. Ever since then, I’ve used it in everything from scones to pancakes to muffins to quick breads. Since oat flour absorbs moisture very efficiently, I typically use it to substitute for a third up to a half of the regular or whole wheat flour. It works together very well with whole wheat pastry flour, producing light and airy muffins and pancakes. You may find that you need to add some additional moisture to compensate for the absorption. Add the oats to the bowl of a food processor. Pulse until the oats are well chopped, about 60 seconds. Then, process for another 2 or 3 minutes, scraping down the sides as needed. The goal is a very fine, powdery flour, with very few oat pieces. 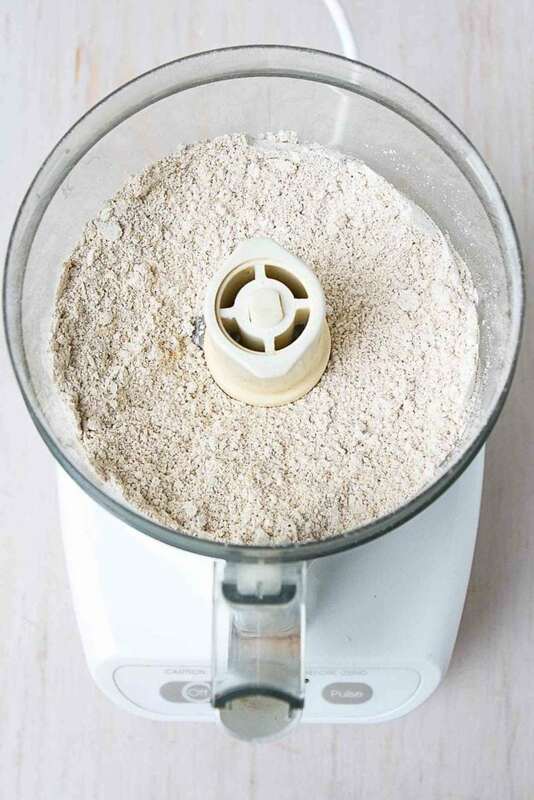 The better the food processor (more powerful), the finer the flour. With my food processor, I’m usually left with some random bits of oats in the flour. I don’t bother removing those pieces as it doesn’t seem to make a difference in my muffin and pancake recipes. If you want a completely smooth flour (such as for cakes), run the flour through a fine mesh sieve before using. I typically stick with old-fashioned oats. 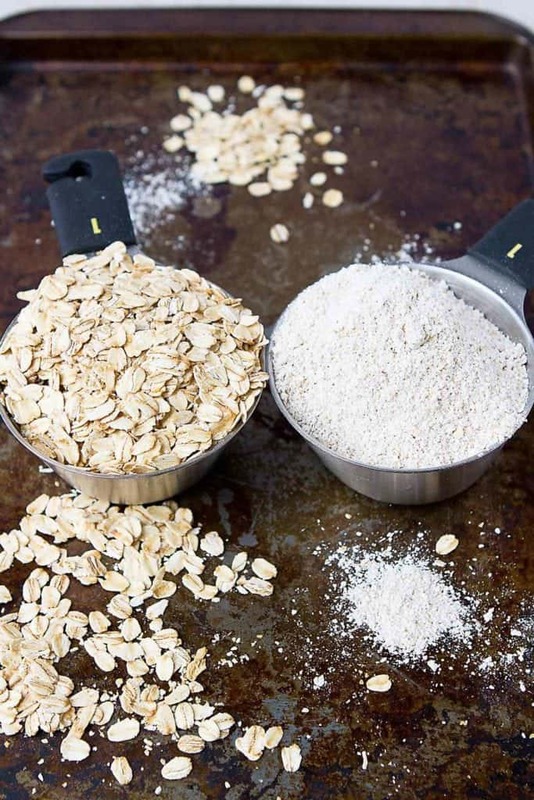 If you have a grain mill, then steel cut oats or groats will make a very nutrient-dense flour, but you won’t achieve the same result with a food processor. How long does oat flour last? Package the oat flour in a resealable plastic freezer bag or airtight container and store either in the pantry or the freezer. In the pantry (cool temperature), the flour should be good for up to 3 months. In the freezer, the flour should stay for 5 to 6 months. Oats, and therefore oat flour, is gluten free. The problem comes with cross contamination when the oats or the flour are produced in a plant that also processes wheat and barley. Look for oats or flour that are certified gluten free, such as these oats or this oat flour (affiliate links). 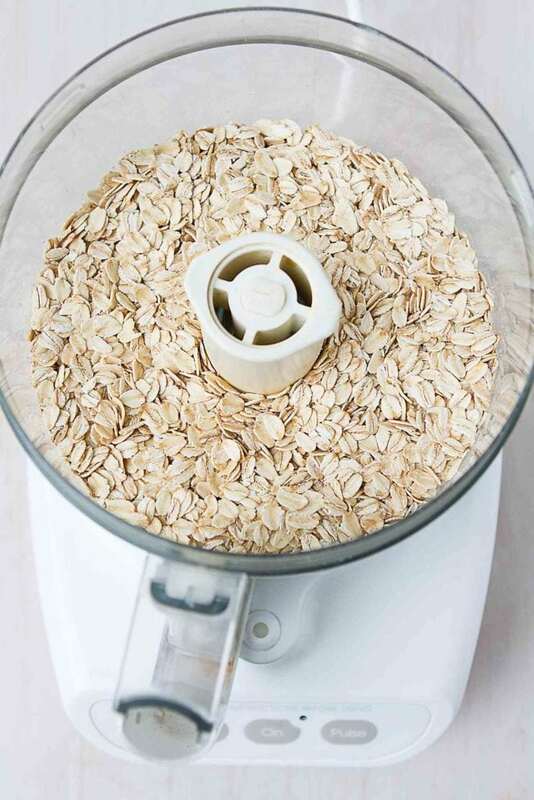 Place the oats in the bowl of a food processor. Pulse until the oats are well chopped, about 1 minute. Process the oats until very fine, scraping down the sides as needed, 2 to 3 minutes. Use immediately or store in a resealable freezer bag or an airtight container.